I am so sorry that once again, I have fallen off the face of the Earth. My new job in Cali is going exceptionally well, which is a good and bad thing. Well, I mean, planning events IS how I make my money to ya know… survive. And let’s face it, I don’t have the attention span to probably ever write a book so I should stick to my event planning ways since I can actually profit from it. Um. I feel like I NEVER read. And no reading means no reviews and no reviews means no blog posts. So in this circle of work, I never get to interact with my favorite people. YOU! 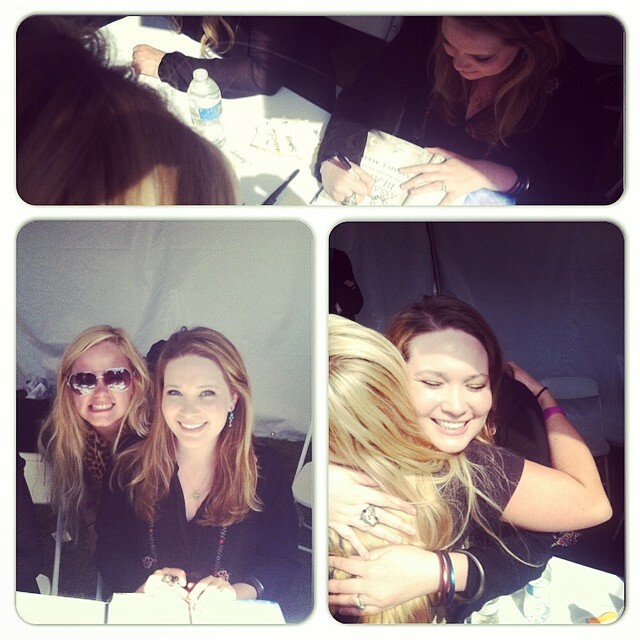 On the up side, I did get to nerd out and go to the Los Angeles Times Book Festival yesterday and MEET SARAH J MAAS! She did an awesome panel with Melissa Meyer and Leigh Bardugo (and some other sci-fi lady no one really knew about) and was bomb. She’s even cooler in person than I thought she would be. Very humble with a dry, self-depreciating humor (much like Jennifer Lawrence) and totally made me want to hang out and drink with her. NOT TO FREAKING MENTION that when I went and had her sign my book and told her I named my blog after one of her quotes, SHE FREAKING RECOGNIZED ME. In which I promptly fan-girled the f*ck out. And Leigh Bardugo was pretty legit too. Those two cracked me up like no other. It’s really awesome to see authors appreciate their fans. Loves you two soo much.